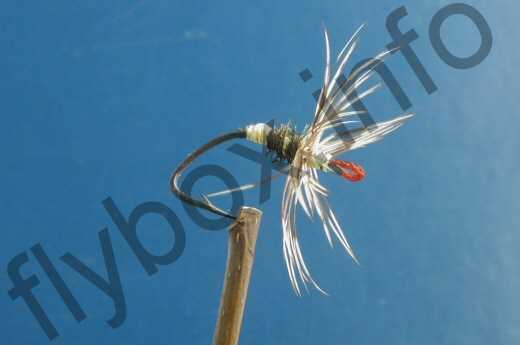 The Takayama Sakasa-Kebari 1 is a reversed hackle fly that is just one of the many variants of the Tenkara Fly. The Japanese Fly Fishing "Tenkara" originated in mountain villages and has been handed down as a way of occupational fishing from olden times. It is a simple wet fly design intended for use in both slow and fast flowing streams. Hook : Japanese bait hook size 8. It has no eye so make them using yarn. Body : Yellow silk floss. Hackle : Japanese hen pheasant feather. Tie in reverse hackle. Currently there are no comments about the Takayama Sakasa-Kebari 1 fly pattern from other fly fishermen yet.